“Amidst a busy touring schedule in 1981 with Wynton Marsalis, Ron Carter, and Tony Williams, Hancock devoted his studio time to recording another album at The Automatt in San Francisco. 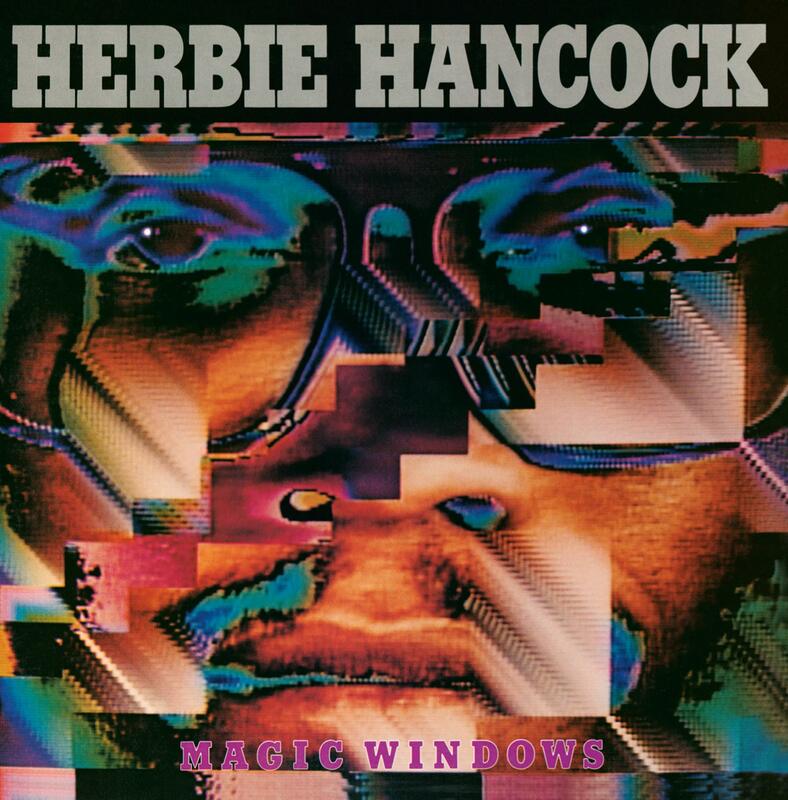 The sound of Magic Windows is similar to the previous funk albums, not least because associate producer Jeffrey Cohen again co-wrote four of the six tracks. For “Satisfied With Love,” Hancock shares the writing credit with his sister Jean, an IBM systems analyst and passionate songwriter, who also co-wrote “Harvest Time” (released on The Piano) and “Manhattan” (released on The New Standard, 1996). The liner notes unambiguously point out that there are no strings, brass, or other instrumental orchestrations on this album – all of these orchestrations were performed by Hancock on his array of synthesizers, as well as an Alpha Syntauri (modified Apple II) computer. Recorded and Mixed 1981 by Fred Catero, Leslie Ann Jones, and David Rubinson at The Automatt, S.F. Additional recording at Kendun Recording; Village Recorders; Ameraycan Studios, L.A.
Prophet 5 – First made in 1978, this was one of the first fully programmable polyphonic analog synthesizers. It featured patch memory storage, which allowed it to save every knob setting for storing and recalling preferred sounds. Herbie played this instrument on his 1981 album Magic Windows, among many others. Linn Drum – This drum machine released in the early 1980s featured 15 drum sounds sampled from real drums and a sequencer. It was the successor to the LM-1. Herbie played this instrument on Magic Windows.